Ayman Ibrahim is a professor at The Southern Baptist Theological Seminary and the Director of the Jenkins Center for a Christian Understanding of Islam. He works to inform Christians about Islam so that they can take the gospel to the people of this growing religion. 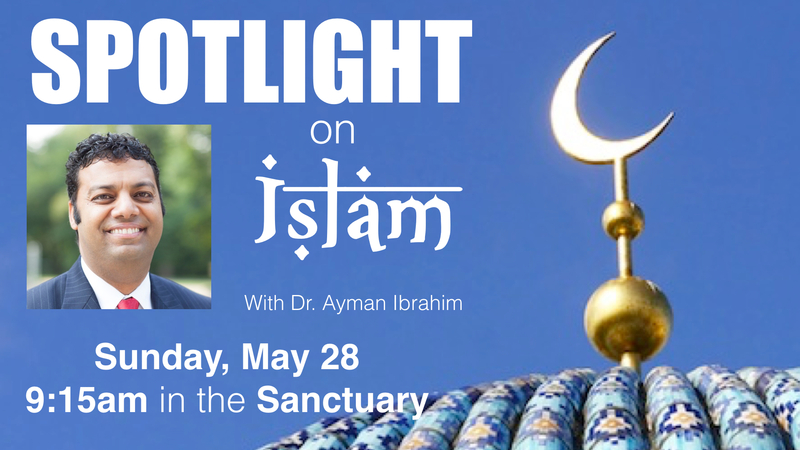 Buck Run is hosting a Spotlight on Islam with Dr. Ibrahim this Sunday, May 28th at 9:15am in the Sanctuary. This class will be a rich time of instruction and help us all be more effective in loving our muslim community and reaching them with the gospel of Jesus Christ.